a beautiful film. not complex script. not extraordinary story. but the memory of colors, the lovely simplicity, the freshness warm flavor of childhood, the emotions who are mixture of old images, adventure spirit, religious lesson and philosophical crumbs is like a kind of music. the result - an useful meeting. seductive, refreshing, delicate, a not ordinary animation who represents more than entertainment, a window to a splendid universe. 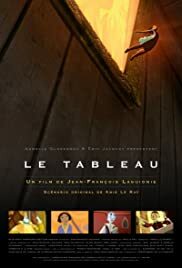 the sense of well known world, the game of colors, the animation as a kind of delicate invitation to self discover are virtues of a film with not high ambitions but for this reason admirable way to remember the basic fundamental things.